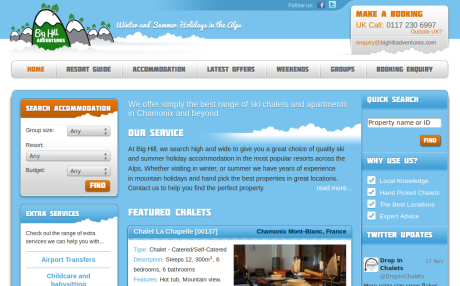 BigHillAdventures.com are a property rentals business based in Chamonix Mont-Blanc. 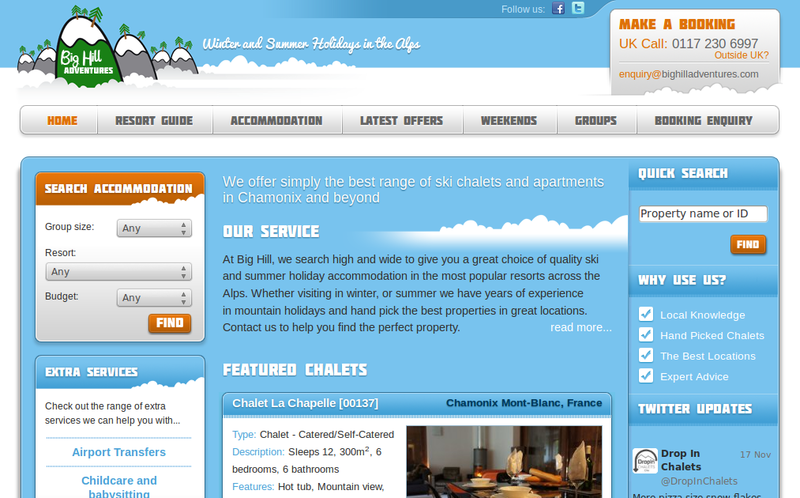 The client wanted very similar functionality to Alps-Rentals, a previous website we had built, but with the addition of separate resort pages and a better search functionality. The property search uses AJAX to refresh the list of properties dynamically every time the user changes the search criteria. 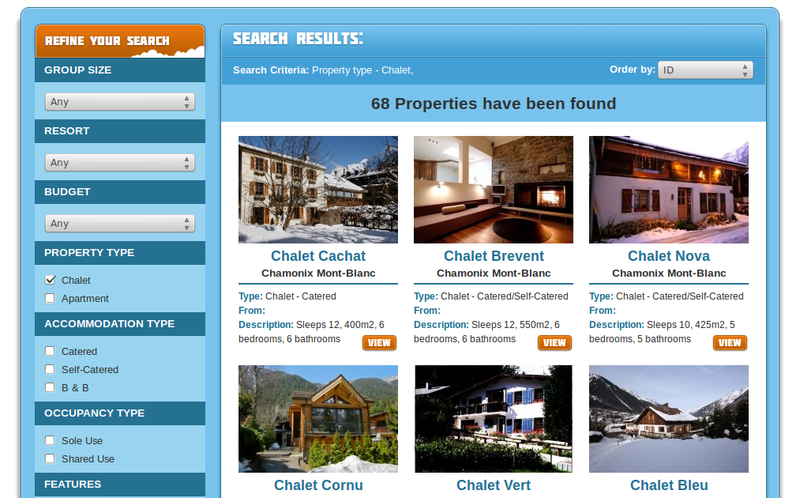 The website also uses dynamically created SEO friendly URLs for the resorts and properties.